Pacific City, Oregon (January 5, 2018)—Another Father of All Tsunamis predicted as Pelican Brewing Company continues its barrel-aged craft beer series with the newest production of its Imperial Stout aged in rye whiskey barrels. One-upping Pelican’s popular core brew Tsunami Stout was no easy task the first time but Pelican brewers have done it again crafting a beer with even more stout character in this barrel-aged Imperial version. The limited-production Father of All Tsunamis, which will be available this month in 22 oz. bottles and on draft at select locations, is available now for pre-order online. 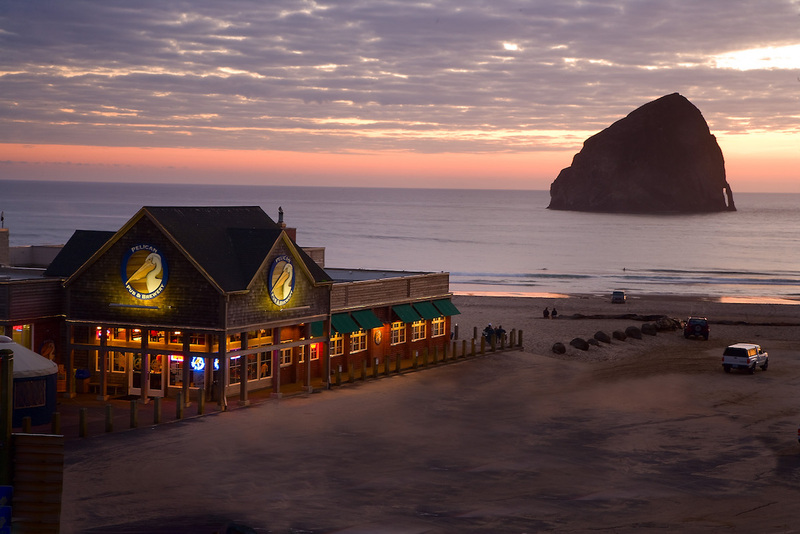 Father will be available for pick-up at Pelican brewpubs in Pacific City, Cannon Beach and Tillamook on Saturday, January 20, 2018. For those fanatics who would like Father shipped directly, Pelican can ship to select US States—click here to be added to a waiting list for shipping. Supplies are limited. Full of rich roasted flavors reminiscent of dark chocolate and espresso, ‘Father’ takes things one step further with aging in Rye whiskey barrels. With layers of spiciness, vanilla and caramel coming from these barrels, the Imperial Stout emerges with a richness and balance beyond any stout ever created at Pelican before now.